Visiting a amusement Park can be a whole organization . That is something we all know ! But for a disabled person is this organization bigger. I am going to try to give you some advise for your visit at Disneyland paris. Everything starts with your hotel. 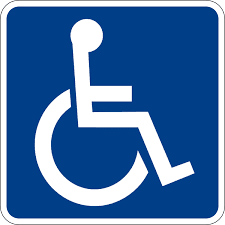 make sure that your hotel haves facilities for your handicap when you are looking for a hotel ? If the hotel doesn't have the facilities you will need . than you have to look further. Because everything starts with a good night’s sleep. When you have found a hotel. Make sure that your hotel really haves everything you wil need. Sometimes is the hotel not so accessible as they say . When you have booked your stay with a travel agency . Then they have to contact the hotel. When you have booked the hotel than you have tot do it yourself.You also may not forget to ask for the width of your room door. Not all the wheelchairs are equally wide . There is a possibility that your wheelchair not can enter the room if the door doesn't haves the correct width. You have booked a hotel and are ready to visit the magical kingdom of Disneyland Paris . After your long journey you maybe want to go to your hotel for a little rest. But i think you want to go to the park to enjoy the wonderful world of Disney. When you drive to the car park you have to show your disabled card tot the cast member. They wil give you a route to get to the special parking area. After parking you may go to the special desk to buy your tickets. Make sure they you have your disabled card and a letter from the doctor with you. This is because your disabled attendant can get a free enter in the park if it is necessary. You also have to go to this desk for your free enter when you have a Passport Annuel . Welcome in Disneyland Paris ! When you visit Disneyland Paris for the first time , You will first need to go to City Hall. Here you can get your EAC this is a card that helps the Cast Member to provide you the best possibilities for entering the rides or finding a good spot for the shows and parades. This EAC will be valid for your full stay. When you have a Passeport Annuel . And you don’t have a EAC . Than you have to go get your EAC in Bureau Passeport Annuel. They can give you a EAC that wil be longer valid and they will also plasticizing your card.